Are Ritz-Carlton Club Upgrades Worth It? 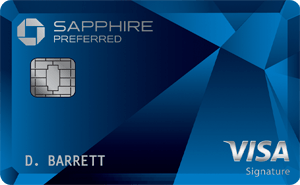 I’ve written about some of the benefits of The Ritz-Carlton™ Card, including the $300 annual airline credit, Ritz-Carlton Gold status (which is also valuable at Marriott properties), the $100 domestic companion airfare benefit, etc. The more personal comfort of The Ritz-Carlton Club Level is yours. Upgrade your stay three times annually on paid stays of up to seven nights. Subject to availability at the time of your reservation. Advance reservation and e-certificate is required. Valid only on member rates and non-discounted rates. Cannot be combined with any packages, discounts, negotiated corporate or group rates or point-redemption bookings. Sure enough, once you activate the card you should see the three sets of club level upgrades in your account pretty quickly, and they expire 13 months after they’re issued (as you can see, they’re issued on a cardmember year and not a calendar year). Furthermore, as explained in the terms, the club upgrades are each valid for up to seven nights, meaning you can potentially get up to 21 nights of club rooms out of the three certificates. With that out of the way, let’s talk about the details. While Ritz-Carlton is technically part of Marriott Rewards (and Ritz-Carlton Rewards), no level of elite status will get you an upgrade to a Ritz-Carlton club level room. You might get a suite upgrade, but you’ll almost never be upgraded to a club level room. That’s also true with American Express Fine Hotels & Resorts and Virtuoso, where you might get a nice room upgrade at Ritz-Carlton properties, but typically not to the club level. That’s because Ritz-Carlton tries to keep their club level exclusive, and generally their clubs are in a different league than what you’d find at other major chain hotels. You can generally expect five servings per day, including breakfast, a light lunch, afternoon tea, evening cocktails, and then chocolates and cordials. While everyone values things like club lounges differently, Ritz-Carlton on the whole operates among the best lounges there are. What kind of rates are eligible for Ritz-Carlton club upgrades? Furthermore, you technically have to pay for your stay with The Ritz-Carlton™ Card to be eligible, though I’m not sure to what degree that’s enforced. The best way to figure out what rate is eligible is to call. It used to be that entering code “Z38” online in the special codes field would return rates for this offer, but that doesn’t seem to work anymore. Rewards Member Rates do qualify for this promotion, so in the below example at the Ritz-Carlton San Francisco, the rate of $391 would be eligible (a whopping savings of $8 over the standard rate). Meanwhile a pre-paid rate, as shown below at the Ritz-Carlton Hong Kong, wouldn’t be eligible. I called, and for those dates at the Ritz-Carlton Hong Kong, the lowest rate required for a club upgrade is 4,100HKD, which is the same rate Amex Fine Hotels & Resorts charges. I’m not sure if there’s last room availability for the club level upgrades. I assume perhaps not, though based on all the hotels I called to inquire about, availability was never an issue. Is it worth using Ritz-Carlton club level upgrades? It all depends how much you value club access. There are certainly a lot of considerations when using one, though. For example, for the same rate you could typically book through Amex Fine Hotels & Resorts, which comes with daily breakfast, guaranteed 4PM check-out, a room upgrade, a $100 hotel credit of some sort, and sometimes even a complimentary night. For example, in the case of the Ritz-Carlton Hong Kong, there’s even a complimentary third night offer at the moment. So if you were staying for three nights you’d be better off outright booking a club room with the third night free, given all the perks you’d receive. Furthermore, if restaurant breakfast is already included, how much do you really value club lounge access? Restaurant breakfast is almost always better than club lounge breakfast. That’s especially true when you consider that you typically have a $100 food & beverage credit included as well. Everyone’s perception of value differs. I know some people who get the card specifically for this perk, while others would never consider using it. The club level upgrades offered by The Ritz-Carlton™ Card have the potential to be extremely valuable, though it’s important to understand the terms associated with them. Under almost all circumstances there’s a direct opportunity cost to using them, given that for the same rate you could book through a program that gets you extra benefits like breakfast and a $100 property credit. So you can get a lot of value out of these certificates, just don’t be lured in thinking that you’ll be able to use these on points stays, in conjunction with other programs, etc. If you have The Ritz-Carlton™ Card, have you used these club level upgrades yet? Please… No more pimping this card. My wife and I were generously upgraded to a club suite at the RC Bali Nusa Dua on our honeymoon as a result of the check in staff being confused about our reservation details. IT. WAS. PHENOMENAL. Granted, we’re used to Sheraton and Doubletree club lounges. But we literally ate every meal, each day, in the lounge. Spent a grad total of $0 on food and alcohol for our entire stay! The trouble is, the exciting thing about Ritz-Carlton is that a lot of the best properties are very expensive, which makes it appealing to be able to use points for them. But it makes it hard to find occasions when you’d really care to pay a cash rate, even with a club upgrade. If these upgrades could be used on points bookings, they’d be very valuable. I think it depends on the property. If it a resort, like a beach or ski property where you are not leaving the property, the club level is a great value. If it’s a city property where you’ll be out most of the day and eating out, not such a great value. I know you are making a general point here, but the RC Hong Kong’s club is by far the best one I have seen. It is 100% worth it over just having breakfast. But with other RC properties the difference between breakfast only versus club access would be a lot less. Is there a reason you can’t use these upgrades in conjunction with the Citi Prestige 4th night, since you can book members only/flexible rates through that program? I’m currently looking at the best option for a 4 night stay in a club level at the RC HK in Nov.
I’ve had the RC card for about three years now. Although I usually stay at Marriott’s (my justification for the card), the few times I’ve stayed at a RC, in order to use the club-level upgrades, I would have had to pay considerably more for my room than the basic rate to get the upgrade. So, I never was able to use this benefit. As I am lifetime gold with Marriott now (possibly the best benefit of the card is to provide gold status with $10k spend) and recently found the travel insurance to be nearly worthless, I suspect I’ll cancel my card in the near future. @ Marvin — Someone correct me if I’m wrong (I’d like to be wrong), but it’s my understanding that one of the conditions of using these is that they have to be applied at the time of booking with Ritz directly, and that it can’t be booked through a third party. Does anyone have experience suggesting otherwise? Would be great if it were in fact combinable. Thanks for answering these questions Ben.. I just booked the RC Hong Kong with the 3rd night free through Amex FHR.. I thought it was a pretty good deal. Was going to call RC Visa and ask for an upgrade from my Certs but you saved me that phone call.. Agreed with Jake P. We travel as a family of four – my wife and I and two teenagers. The Ritz at Amelia Island is one of our favorite family vacation destinations. If we book far enough in advance we can get a spring/early summer rack rate of $399/night, and pay ZERO for food and beverage the whole week with these upgrades. We could have used points, but at Ritz prices with 2 or 3 nice cocktails for each of us each night and two hungry teenagers to feed 3/4 times a day we might have spent close to that just in food/drink. The advice from Peetyrd is good too. These certificates have the best value at places like beach resorts where you don’t want to leave the property. By the way, reservations can only be booked through Ritz, because the upgrade certificates have to be applied at time of reservation. We’ve tried to call in to apply certificates to an existing reservation even though the rate had not changed, but it doesn’t work. I’ve used these carts 5-6 times over the last 3 years (always resorts) and the qualified rate was always the lowest publicly offered (for the bed type, and except prepaid rates) and always included a $100 resort credit. I typically saved $2-300/night over the lowest club rate. I think the $100 credit is always applicable on 2+ nights. That used to show up with the Z34 promo code (which might not work anymore, similar to Z38). Wow. I just tried to redeem upgrades using RCR for the last hour. First a MR agent, who had no idea how to do it. Then an RCR agent, who told me that “the hotel didn’t feel like doing it.” Then I spoke to a Marriott customer care agent, who told me the LnF rate wasn’t valid. This is some frigging fine print. I’ve been with HGP for the last 4 years, and when it comes to DSUs, they don’t gouge quite like the RC properties do.